PSY’s global hit ‘Gangnam Style’ is the perfect proof that Asian entertainment can be popular outside of Asia – an opportunity that several companies are trying to seize. This is the case of TV series platform DramaFever, which we covered earlier today, but also of Crunchyroll, which focuses on the Anime segment. To understand the company and its market, we decided to ask a few questions to its CEO Kun Gao. TNW: Can you please briefly introduce Crunchyroll to our readers? 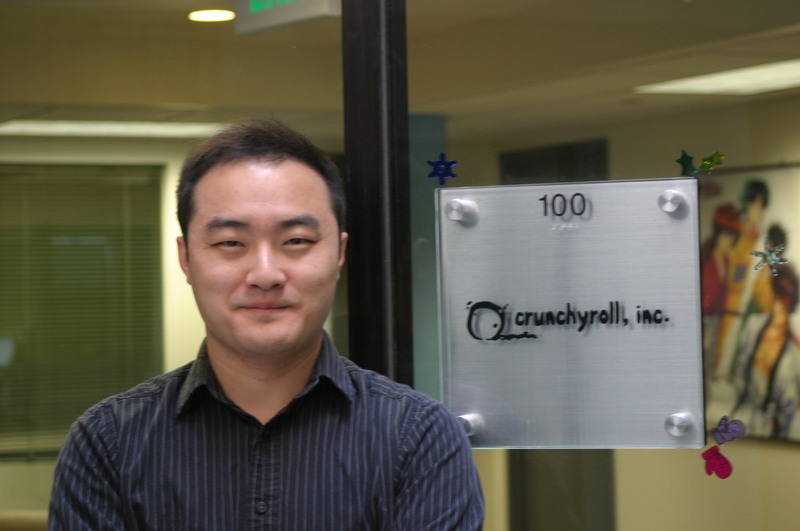 Kun Gao: Crunchyroll started off as a community site where users discussed and shared their favorite Asian content. The rapid success of the community validated the unfulfilled needs of fans wanting to consume their favorite content in real time, which was years ahead of when (if ever) it would be released in the US by a local distributor. So we started as the Napster for Anime content, and were maxing out our credit cards because we didn’t charge for the site and bandwidth was really expensive – but with the insane growth and passionate audience, angels and VCs got behind our business. We had some of the brightest Silicon Valley angels such as Max Levchin (PayPal), Naval Ravikant (AngelList), James Hong (HOT or NOT) and Venrock (institutional investor) get on board. At that point, we went to Japan and talked to all of the content licensors. Instead of kicking us out the door, they completely embraced our ability to reach fans worldwide and wanted to build a legitimate business with us. At the start of the 2009, we switched gears and ‘iTunified’ the anime experience. The service was inexpensive, super accessible, and had all the content users wanted to watch; as a result, they were willing to pay for it. The site was transitioned overnight (on New Year’s Eve 2009) to a fully licensed streaming service focused on bringing current content airing in Japan and Asia to viewers in the US and rest of world with day-and-date broadcasting. Our goal is to bring passionate fans and the content they love closer, in ways that cable, DVD and even other general digital distribution methods could not. Today, millions of Anime and Asian content fans are able to watch their favorite Anime and Asian drama titles within minutes of TV broadcast through our simulcast platform (a secure way to deliver content within minutes of TV broadcast), and translated into multiple languages, worldwide, for a really cheap price (free with ad-support, or a few dollars a month subscription). TNW: How big is the demand for anime and Asian media in North America? KG: The demand for Anime and other Asian contents is huge outside of Asia. In North America, Anime has become mainstream with the popularity of shows such as Pokémon, Yu-Gi-Oh!, and Naruto. Now, the fans of Anime can be anyone from 13 years and up. We are seeing equal passion for this content regardless of gender, age group, and ethnicity. In North America alone, we have over 5 million viewers a month (and 8 million globally). The opportunity is being able to reach every single person from the age of 13-34 (and beyond)! TNW: Crunchyroll makes shows available shortly after their Japanese broadcast. Can you explain why this timing matters? KG: Timing is very important. Our viewers are super excited and want to watch as soon as a show comes out, with professional high quality translation across many devices. If you don’t provide this level of service, users will go elsewhere (either to piracy or other forms of entertainment). Crunchyroll’s goal is to make worldwide content more accessible. We’ve initially focused on Anime and are close to bringing all of the Anime coming out of Japan to the rest of the world. We want users to be able to watch everything, so we focus on licensing all Anime titles that are broadcast on air. Today, 4 out of 5 anime titles broadcast on TV in Japan are streamed to our audience within minutes of broadcast with subtitles on our service. TNW: Crunchyroll is already available on many devices, and now as a PS3 app. Any other apps on your roadmap? KG: We recently announced that a Crunchyroll app will be launching on the Xbox 360. We are also working on a Crunchyroll app for the PS Vita. Our plan has always been to bring the service to where fans want to experience the content. Today, we are also on the web (crunchyroll.com), mobile (iOS, Android, Windows Phone), set-top boxes (Roku, Boxee), smart TVs (Samsung, Google TV, Vizio VIA) and more. You can bet that wherever there are viewers, we’ll be there. TNW: What are your pricing plans for the US and Canada? KG: There’s a range of prices, from absolutely free (viewers can watch majority of the content free with ads), to $11.95 a month for an All-Access Membership. Our business model has two main components: free ad-supported streaming (the majority of the content on our service is available for free) and a subscription component which allows viewers to watch shows within minutes of Japanese broadcast in HD with no ads. For ad-supported streaming, almost 8 million monthly viewers watch on our site and across our apps on various devices with a single login. When the latest episode is available every week for a show, our paying subscription base of over 100,000 can enjoy immediately, paying between $7 – $12 USD a month. One week after the episode airs, it is made available to all viewers with ads in lower quality. The revenue generated from ads and subscription is shared back with license holders in an equitable way, based on viewership. Crunchyroll keeps a percentage to cover costs and operations and from there we generate a profit as well. For our Spanish service in Latin America, the average monthly price is equivalent to $5/mo USD – but we bill the user at a fixed price in the local currency. For example, the monthly subscription is 69 pesos in Mexico, and 13 nuevo soles in Peru. TNW: Will the PS3 app also become available outside North America? KG: This is something we are actively working towards. Offering a reasonably priced subscription plan and multi-platform access all around the world could be the best answer to piracy when it comes to Anime.